Authors – Did you know that ‘Marketing’ is over 500 years old? Advertising has deteriorated sadly since those early examples. This is fascinating, Erik — and thanks to you I can both understand and appreciate the sales pitch. I learn so much from every one of your posts! As an aside, thank you also for your marvelous publication of “Books Before Print.” My copy arrived a couple of weeks ago and it’s truly a treasure. Great to hear the posts are useful. The author copies of Books Before Print made it to Vancouver, finally, and I will pick them up from the post office this (!) afternoon. Thanks, Erik, very much for your posts! I learn so much from every one of them! I must confess that I use them in classes, so that Students can easier understand how fascinating this world of manuscripts is! Thank you a lot!!!! Actually, that is the best compliment you can give! Classroom use is in part what I have in mind when I write the posts (you are not the only one). 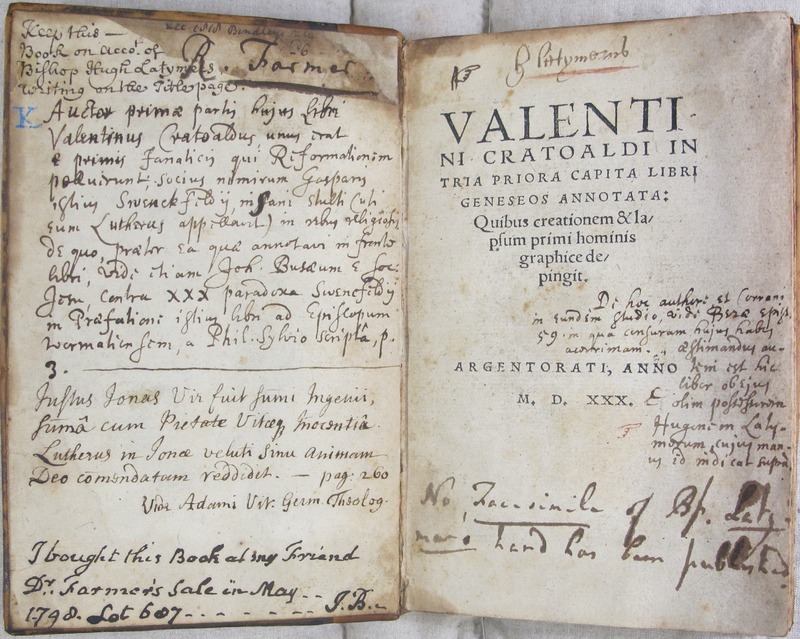 The English translation on the John Rylands copy is in the hand of Dr Richard Farmer (1735-97). Thanks so much! Shows you I was off quite a bit with my dating. Do you have a reference to support this identification? I will then add your remark at the bottom of the post. I think you are right: I found a note in Farmer’s hand and the handwriting looks the same. ‘I had most fortunately acquired two of the very curious slips of Caxton’s book advertisement stuck up by him in the printing office at the Almonry. I shewed this to Edwards who told Lord S[pencer]. of them & he delegated the artful Yorkshireman to negotiate an exchange. Now as there is no third specimen of the kind existing one of these was at least equal in value to one of the books printed by Caxton, & so Edwards admitted. A copy of the Virgil & an old dotted printed were proposed in exchange to which I consented & delivered one of the above slips. When I examined the Virgil I found it wanted the prologue. Notwithstanding this I afterwards heard that the Lord was not satisfied with the exchange, when I voluntarily gave him a very fine & perfect copy of a Lyndwood by W. de Worde, when he somewhat indecorously said to me, ‘Aye this is something’. I was almost tempted to remonstrate on the imperfection of his Virgil, but was not certain that he was aware of it, though I think his Yorkshire agent must have been’. Francis Douce in MS. Douce e.75, p.15. Thank you very much for this information, Julianna; I really appreciate your taking the time to provide this important information! I added it to the postscript at the end. Thank you so much for this. I am wondering if William Caxton is the same whose statute stands in Haarlem, Holland, as the inventor of the movable type? The letters may very well have differed one from another of the same letter if they were all made by hand, right? I loved the postscript handwriting, too. It is all so interesting for the time.